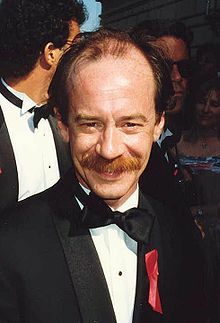 Michael Jeter (August 26, 1952 – March 30, 2003) was an American actor of film, stage, and television. His television roles included Herman Stiles on the sitcom Evening Shade from 1990 until 1994 and Mr. Noodle's brother, Mister Noodle on the Elmo's World segments of Sesame Street from 1999 until 2004. Jeter's film roles include Zelig, Tango & Cash, The Fisher King, Sister Act 2: Back in the Habit, Waterworld, Air Bud, Patch Adams, The Green Mile, Jurassic Park III, Welcome to Collinwood, Open Range, and The Polar Express. Jeter was born in Lawrenceburg, Tennessee on August 26, 1952. His mother, Virginia (née Raines; May 6, 1927), was a housewife. His father, William Claud Jeter (March 10, 1922 – March 1, 2010), was a dentist. Jeter had one brother, William, and four sisters, Virginia, Amanda, Emily, and Larie. Jeter was a student at Memphis State University (now the University of Memphis) when his interests changed from medicine to acting. He performed in several plays and musicals at the Circuit Theatre and its sister theatre, the Playhouse on the Square, in midtown Memphis. He left Memphis to further pursue his stage career in Baltimore, Maryland. Jeter's woebegone look, extreme flexibility, and high energy led Tommy Tune to cast him in the off-Broadway play Cloud 9 in 1981. Much of his work specialized in playing eccentric, pretentious, or wimpy characters, as in The Fisher King, Waterworld, Fear and Loathing in Las Vegas, The Green Mile and Drop Zone. Occasionally, Jeter was able to stray away from these types of roles for more diverse characters like those he portrayed in Jurassic Park III, Air Bud, and Open Range. Jeter is perhaps most known for his role as convicted felon Eduard Delacroix in The Green Mile, a role for which he was nominated along with the rest of the cast for a Screen Actors Guild Award. He was also a favorite with younger audiences in his role as Mr. Noodle's brother, Mister Noodle, on Sesame Street from 2000 to 2003. He appeared in an episode of Touched by an Angel in 1999 as Gus, an insurance salesman who arrives in Las Vegas in the episode "The Man Upstairs". His last two appearances were in the films Open Range and The Polar Express. Both films were in post-production at the time of his death and, when released, contained a dedication to his memory. In 1990, Jeter won a Tony Award for his performance in the Broadway musical Grand Hotel. He won an Emmy Award in 1992 for his role in the television sitcom Evening Shade as math teacher and assistant football coach Herman Stiles. Also, Outer Critics Circle Award, Drama Desk Award, and the Clarence Derwent Prize. Jeter was openly gay and met his partner, Sean Blue, in 1995; they remained together until Jeter's death in 2003. On March 30, 2003, Jeter was found dead in his Hollywood home at the age of 50. Although he was HIV positive, he had been in good health for many years. His partner, Sean Blue, stated publicly that Jeter died after suffering an epileptic seizure. 1980 Lou Grant Max Galt Episode: "Dogs"
1986 Night Court Confessing Crook Episode: "The Night Off"
1987 Designing Women Calvin Klein Episode: "Old Spouses Never Die – Part 1"
1988 Crime Story Senator Michael Gaspari Episode: "The Hearings"
1994 Aladdin Runtar (voice) Episode: "StinkerBelle"
1995 Chicago Hope Bob Ryan Episode: "A Coupla Stiffs"
1996 Dream On Dr. Enoch Episode: "Finale with a Vengeance"
1996 Suddenly Susan Lawrence Rosewood Episode: "Dr. No"
1997 Duckman Dr. William Blay (voice) Episode: "Ajax & Ajaxer"
1997 Second Noah The Chicken Man Episode: "Diving In"
1997 Murphy Brown Vic Episode: "You Don't Know Jackal"
1997 Johnny Bravo Lawrence the Camel (voice) Episode: "Blarney Buddies/Over the Hump/Johnny Meets Farrah Fawcett"
1998 Veronica's Closet Edwin Murloff Episode: "Veronica's Blackout"
1999 Touched by an Angel Gus Zimmerman Episode: "The Man Upstairs"
2002 Taken William Jeffries Episode: "Taken"
2002 Hey Arnold! Nate Horowitz (voice) Episode: "Gerald's Game/The Fishing Trip"
^ "William Claude Jeter (1943)". University of Tennessee. 10 March 2010. Archived from the original on 5 March 2014. Retrieved 2014-02-28. ^ "Michael Jeter, 50, Dies; Won Acting Prizes". The New York Times. NYTimes.com. 2 April 2003. Retrieved 2014-02-28. ^ "Cloud 9". Lortel Archives. Archived from the original on 2014-02-28. Retrieved 2014-02-28. ^ "Touched By An Angel Episode 516: "The Man Upstairs"". Touched.com. 1999-02-21. Archived from the original on 2012-12-03. Retrieved 2013-02-23. ^ Rooney, David (24 October 2004). "Review: 'The Polar Express'". Variety. variety.com. Retrieved 2014-02-28. ^ Open Range film credits. ^ "Michael Jeter: Biography". MSN Entertainment. Retrieved 2014-02-28. ^ "'Sesame Street' actor Michael Jeter dies". United Press International, Inc. Los Angeles. 1 April 2003. Retrieved 15 September 2018. ^ Michael Jeter, 50; 'Mr. Noodle' on Sesame Street by Myrna Oliver, Times Staff Writer, Los Angeles Times, April 1, 2003. ^ Ferber, Lawrence (May 13, 2003). "In memoriam. Michael Jeter". The Advocate. Here Publishing (889): 62. ISSN 0001-8996. ^ Cosgrove-Mather, Bootie (August 31, 2004). "Actor Michael Jeter Dead At 52". CBS News. CBSnews.com. Retrieved 2014-02-28. ^ The New York Times (6 December 1999). "Healthy Despite His Hiv, Jeter Says It's Nothing To Hide". Sun Sentinel. Retrieved 15 September 2018. ^ "Corrections". The Advocate. 17 September 2004. p. 6. Retrieved 2014-02-28. Wikimedia Commons has media related to Michael Jeter.